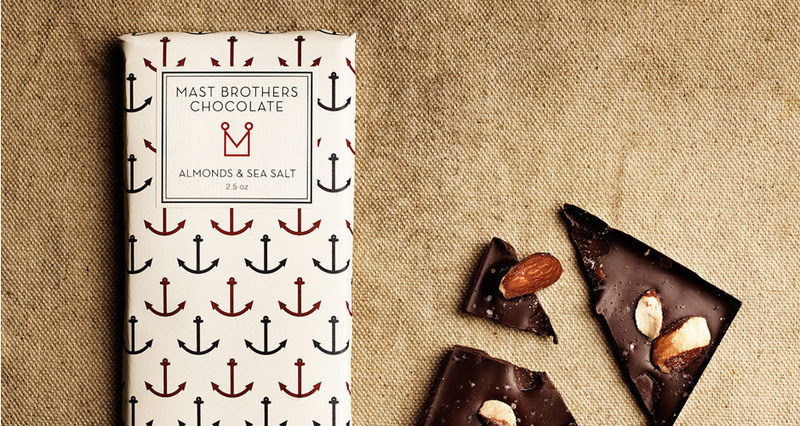 The legend of two bearded, sea-faring chocolate makers, who also happen to be brothers, has woven its way from New York City across the world. From their factory and tasting room in Brooklyn, the Mast Brothers handcraft ambrosial chocolate creations – wrapped in beautifully printed ornamental paper – made from organic beans sourced from far-flung lands such as Brazil, Venezuela, Madagascar and the Dominican Republic. 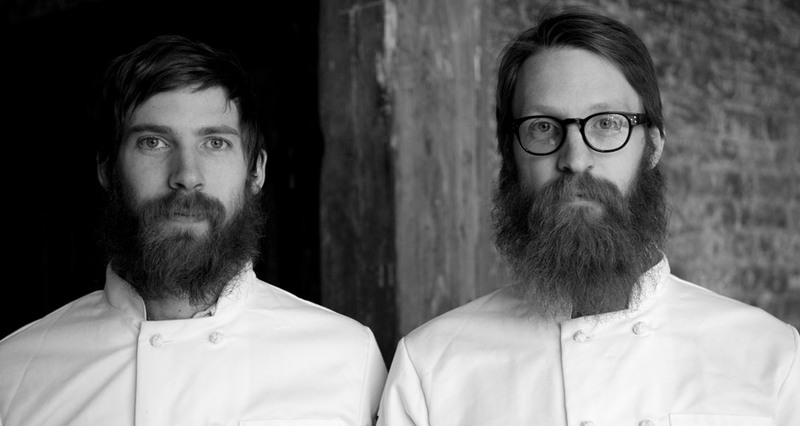 As for their beards, which have also become famous, the brothers say they resulted from a promise that they wouldn’t shave until they had sold 1000 bars of chocolate. That milestone has long passed, but, somehow, they can’t bear to let them go. Living in California at the time, Rick decided it was time for a change and joined his brother Michael (who was working in the film industry) in New York. Soon upon arriving Rick enrolled in culinary school, applying the same diligence he had used to learn music, and began to explore his art further by working in restaurants throughout New York, including Gramercy Tavern and Soho House, as well as a stint under renowned chocolate maker Jacques Torres. Inspired by his brother’s new passion, Michael soon became equally as intrigued by the craft of artisan food. When the boys began to explore the process of chocolate- making in particular, they realised that no one in New York was exploring the art of handcrafting chocolate “from bean to bar”. Having been living together for a few years by that time, they decided to discover the lost art for themselves – beginning a series of handcrafted chocolate experiments in their Brooklyn apartment in 2006. After scraping together enough money a few years later, the boys moved into a Brooklyn-based shop and factory of their own, gradually growing to what is now a staff of 20. The company’s name, while it may have seemed an obvious moniker, was actually in part an attempt to bring back some dignity to the name ‘the Mast Brothers’, which had previously been soiled by the hell-raising antics of Michael and Rick’s father and uncle in small-town Iowa. When asked about what it takes to be in business with a sibling, Michael points out that they had gone through many fights with each other – both physical and mental –before they even had the notion of starting their chocolate business. “But we got through those, and we still have them,” he says, laughing. “There’s nobody you’re going to fight harder with than your family, but then there’s nobody you’re going to fight harder for than your family,” Rick adds. Several years into their artisan venture, the boys began to consider ways they could cut down their carbon footprint. Looking for an oil-free method of transporting their beans from their origins in Central America to the shores of New York City, Rick and Michael discovered a power source that was not only kinder to the environment, but also free. Harnessing the power of wind, in 2011 the pair decided to sail their beans themselves. Aboard the Black Seal – their retrofitted three-masted shipping schooner built in its captain Eric Loftfield’s backyard – the brothers accompanied nearly 20 tonnes of organic cacao beans on a 15-day voyage through the Atlantic Ocean from the Dominican Republic to Brooklyn. When the ship’s bow nudged its way into the port of Red Hook, it marked the first time since 1939 that a sailboat had unloaded commercial cargo in a New York port. Describing what they do as ‘American craft chocolate’, the brothers see themselves as part of a greater artisan movement currently happening in Brooklyn, composed of woodworkers, furniture makers, cheesemakers and other artisans who are taking pride in things made by their own hand. “Food is always more enjoyable when you know where it comes from,” Rick says of their inspiration to keep things as simple as possible. Adhering to a traditional ‘craft style’ method, the brothers use only beans and sugar to create their chocolate, with no added vegetable oil, cocoa butter or vanilla. Their reason for doing this, Rick explains, is to let the true essence of the flavour shine. “The cacao bean is where all that mind-altering sexiness comes from,” he says with a smile. The brothers’ next adventure will take them to the tiny Central American nation of Belize, where they will be taking members of their crew and some of the general public down for a “chocolate week”, to explore the local cacao bean farms and connect people to the source of their product. "You only get one shot at this life, so why not make it an adventure?"